Cultural and historical sites, museums, exhibitions and other attractions. 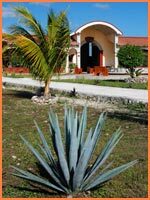 Learn about Cozumel's local history and ecology, or taste tequila and see how it's made. You can also visit many attractions on our Cozumel tours. This combo package includes entry to Discover Mexico and Chankanaab Park, with transport between the two, as well as a delicious Mexican buffet lunch with a beer or soft drink. Visit the whole of Mexico in 90 minutes and then enjoy the beauty of Chankaanab's famous lagoon and beach for the rest of the day. Ever wondered how Mexicans turn a spiky plant into their national drink? The Hacienda Antigua tequila tour can provide you with all the answers. The tour costs $14 USD and kids under 18 go for free. Hacienda Antigua can also be visited on our Tour to The Other Side. Stunning white sand beach with reef for drift snorkeling and crystal clear water at Punta Sur Park ecological reserve. 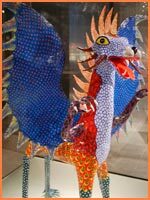 Imagine being able to visit the whole of Mexico, discovering its rich history, amazing art and colorful cultures. The Discover Mexico attraction on the road south of town in Cozumel let's you do just that. Visitors first experience a visually spectacular short film of Mexico in a 4 screen mini-cinema. 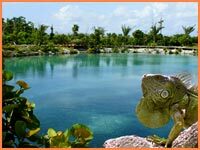 Chankanaab Beach Park is Cozumel's most famous attraction and it's not surprising. Enjoy crystal clear protected Marine Park waters and reef for snorkeling or diving. A large white sand beach area with bars and restaurants. Mayan culture and history, tequila tasting, fresh hand-made tortillas and an incredible lagoon. All that just for starters. 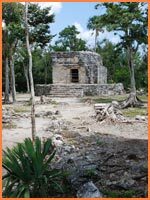 San Gervasio is the most important Mayan archeological site on Cozumel Island. The religious center was built as sanctuary to the Goddess Ixchel. It was popular for many Mayans to visit once in their lifetime on a type of pilgrimage. Visit on our Cozumel taxi tour. The Big House at San Gervasio. Take in the rugged natural beauty of Cozumel's east coast at El Mirador lookout. The sea has carved an arch in the rock which you can climb on top of for great views. Easily visited on the scenic east coast road. Don't forget your camera, El Mirador offers fantastic photo opportunities. 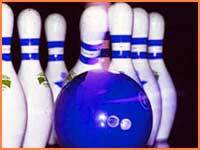 Modern bowling alley with plenty of lines and billiards too. Open until late with a well-priced bar and snack menu. Want to go diving, fishing, snorkeling, driving around the island? And your kids want to have fun too? 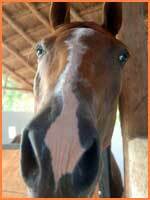 The equestrian center at Hacienda Azcorra in Cozumel offers day camps for children and has an impressive stock of horses. Climbing one of the walls. 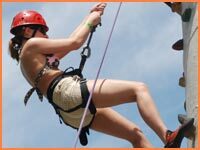 If the kids - or big kids - in your family are looking for something new to try in Cozumel, then the Climbing Adventure Park may be just the challenge for you. Operated by Alaska Mountain Guides from Haines, Alaska, the park boasts climbing walls, a zipline, abseiling towers and a great beach club with snorkeling for relaxing afterwards.